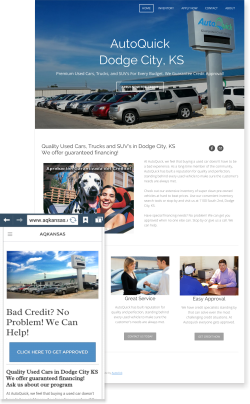 Our integrated Dealer Websites look great and give small dealerships an immediate presence on the Internet. Simple control panel to manage site content. ** One-time setup fee applies. Click Sign-up button for details. 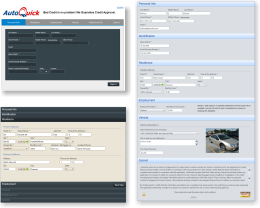 Autoclick has been an approved vendor for Credit Acceptance since 2003. We submit over 100,000 credit apps into CAPS® each year for dealers of all sizes throughout the US. All our dealer websites are Credit Acceptance ready and feature the Credit Acceptance Guaranteed Approval model. 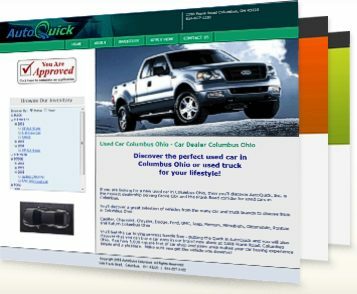 Give us a call or ask your CAC rep how Autoclick can increase your apps into CAPS® and help you sell more cars. © Copyright 2018 Autoclick.com. All Rights Reserved.